Kythira, the largest of the Ionian Islands, is as well known for its beauty as its varied past. 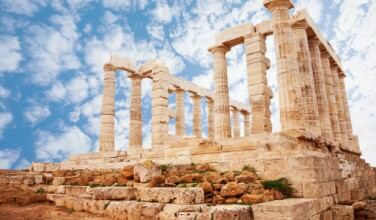 Because of its strategic location, Kythira has been the home of several prominent civilizations throughout history. These include the Mycenaeans, Spartans, Minoans, Venetians, Ottamans, and even the English. It is also fabled to be the birthplace of the Aphrodite, the Greek goddess of beauty. Today, Kythira’s main industry is tourism and since it isn’t one of Greece’s major destinations, it still remains relatively unspoiled. Visitors can enjoy the island in relative solitude. 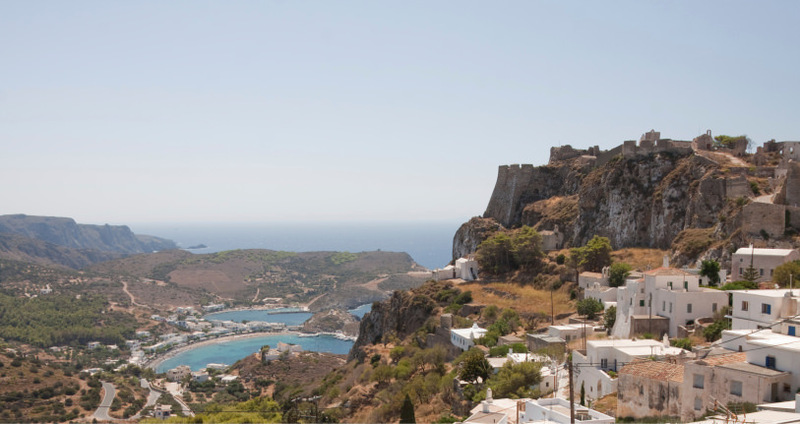 Aside from its capital, Chora, Kythira has many traditional villages, which offer a glimpse of what life was like in Greece hundreds of years ago. Here are some ideas on what to see and do while here. Kyrthira’s main attraction is its beautiful beaches. The two most popular are Kapsali and Agia Pelagia, both of which are a comfortable driving distance from Chora. Both beaches are well maintained and offer beautiful views of both the sea and the island itself. These beaches make excellent day trips from the capital. You can also stay in one of the many resorts near them. The best places to stay in Kythira are either in the capital city, Chora, or near the two largest beaches. 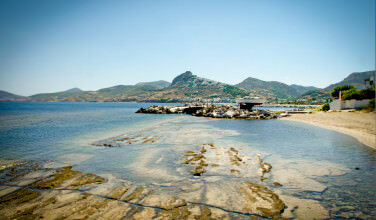 If a beach vacation is your preference, Both Kepsali and Agia Pelagia have several beautiful resorts. Chora is also an ideal location to base your stay because you have access to fie restaurants, shopping, and the best beaches. You may also want to rent a car during your stay so you can explore some of the more remote parts of the island. There are some excellent shopping opportunities throughout the island. There are art galleries, boutiques geared to tourists, and traditional Greek shops. Here are some top picks of where to go and what to buy. Follow Your Art – Located in Kepsali, this artsy boutique is one of the island’s best. Here, you will find souvenirs, handmade home decorations, and clothing. Fatourada – This actually isn’t a shop, but it is something you should at least sample while on the island. It is a traditional Greek spirit that is flavored with cinnamon and cloves. Chora – By simply wandering the streets of Chora, also referred to as “Kythira Town” you will find a wealth of shopping opportunities. To get away from the tourist shops, you’ll need to venture away from the port. There are two ways you can get to this island. Ferries go in and out on most days, especially during the busy season which runs from May until the beginning of October. It is part of the Ferry group that connects Piraeus, Kissamos in Crete, and Neapolis and Gytheio in the Peloponnese. 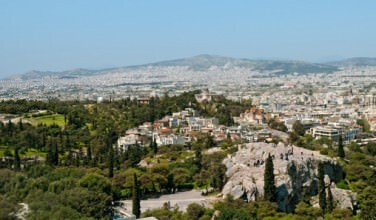 You may also take a flight from the airport in Athens. Though tourism is the island’s major industry, it doesn’t attract the large crowds some of the other islands get. 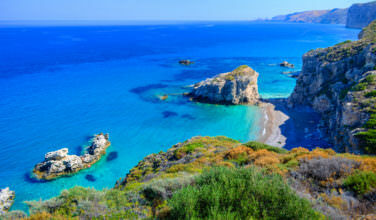 Whether you spend your time lounging on the beach, sampling some traditional cuisine, or visiting one of the island’s unique shops, Kythira offers both a relaxing and traditional experience.